What To Expect When You Contact Us Here At Ellissi. 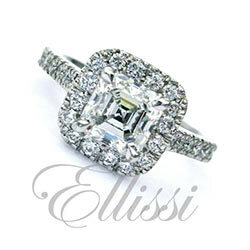 Ellissi’s jewellers have many, many years experience in the designing and crafting of fine jewellery. 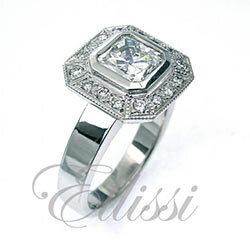 When you contact us at Ellissi, you deal directly with the Jewellers who will be making your engagement ring. 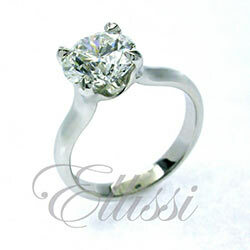 As all our diamond rings are custom made, you can have, if you wish, input into the whole process. Or, if you prefer, you can sit back and let us make the best decisions on your behalf. From selecting the right diamond for your budget, to the final design of your stunning diamond engagement ring, we take you right through the process. 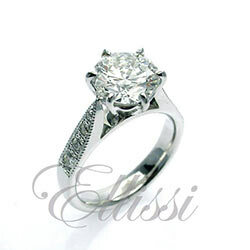 Guidance is given in all areas of ring design, production method and most importantly getting the right diamond for the budget you are thinking and hoping for. We advise on ways to improve the design you may have in mind and also the “tricks of the trade” to get the best diamond result. We will also advise on what is most critical in diamond selection for each cut type, and to what extent some of the quality elements can be adjusted to improve the overall outcome. This process takes time because it is important to do it properly, so appointments are always required. You should allow at least an hour for your appointment. Tuesday to Friday from 9.30 am – 4 pm. Saturdays from 9.00 am – 4.00 pm. To make the best use of your time during your appointment, it is helpful if you contact us prior to making a booking via email, phone or via our facebook page with some details of what it is that you are after. This is so we have some understanding of your requirements in advance and are able to spend your time with us in a focused way. Ellissi is centrally located in the on the third floor in the Manchester Unity Building, which is in the heart of Melbourne’s CBD. We are on the corner of Swanston Street and Collins Street. The lifts are at the rear of the building.